Danbury's Charter Revision Commission was bringing the city down the wrong path -- advocating a switch to four-year terms for elected officials. There was no public demand for it. The push came from some members of the Republican Party, including Mayor Mark Boughton. BUSTED! Seems like Mary has been watching Danbury Live's footage of the charter revision meetings...lets continue. Advocates of four-year terms said the job of governing Danbury is too difficult to learn in a two-year term -- an amazing claim. But the four-year-term proposal was really about giving politicians a break from running for re-election and staying in touch with voters. The commission and the Republican mayor should have dropped this four-year-term proposal long ago. I'll have more on this subject in the form of a "special comment" later this week. Since there were so many charter revision meetings, as requested, I'm in the process of making a special section of this site which will be devoted to ALL the meetings as well as breaking down the meeting based on such issues as the four year terms discussion. Although all the charter revision meetings are on YouTube, I also understand that it's a bit tricky to find them all..especially the ones that are the centerpiece of todays News-Times editorial. Please understand that we're talking about a GREAT deal of meetings which require a great number of hours of viewing and piecing together. Although I went to a great deal of the meetings, it will take a while to piece things together. In the end, regardless of today's mayoral meltdown, you will see that today's News-Times editorial pretty much hit the NAIL on the head. Randall Carreira, an attorney represent building owner John Farley, said his client wanted the building taken down as soon as possible. "We had a meeting with the city last week, and we were trying to get a plan together to get this done," he said, adding that they attempted to go to City Hall on Friday to get a demolition permit, only to find the building closed. But according to the mayor, the city saved 100,000 DOLLARS by screwing resdients of basic services that we paid with OUR TAXES closing City Hall and the library on Friday. ...and if you believe that, I have a bridge in Brooklyn to sell ya. In case you haven't noticed, I've added a new feature to this site. Now, you'll be able to view video files in their native hi-res format. In order to properly view the videos in high-res, you'll need to do a couple of things. 1. If you're not using a broadband connection to view this site, FORGET attempting to view the videos in hi-res format. 3. I would advise people who read this site using Internet Explorer to use a different browser. IF you use IE to view the videos, you won't have the ability to pause the video as easily as you would if you used a different browser (I recommend downloading either Firefox or the amazing Google Chrome. If you stick with IE to view the videos, you can pause/resume playing the video by pressing the space bar. I'm still getting the kinks out of the code so bear with me. Once I make the transition to HDTV, you'll see the full benefits of this new service. Wonderful NYT's editorial on the now irrelevant anti-immigrant/xenophobic wing of the Republican Party's poorly attended nativists conference. This is nonsense, of course. For years Americans have rejected the cruelty of enforcement-only regimes and Latino-bashing, in opinion surveys and at the polls. In House and Senate races in 2008 and 2006, “anti- amnesty” hard-liners consistently lost to candidates who proposed comprehensive reform solutions. The wedge did not work for single-issue xenophobes like Lou Barletta, the mayor of Hazleton, Pa., or the former Arizona Congressman J. D. Hayworth. Nor did it help any of the Republican presidential candidates trying to defeat the party’s best-known voice of immigration moderation, John McCain, for the nomination. ...and locally, you can add anti-immigrant fanatics Mike McLachlan and David Cappiello getting their asses whipped in Danbury by pro-immigrant supporters Duane "I voted against 287g" Perkins and Congressman Chris "I don't need lawn signs to win" Murphy...but lets go on. What was perhaps more notable than the report itself was the team that delivered it. It included Bay Buchanan, former adviser to Representative Tom Tancredo and sister of Pat, who founded the American Cause and wrote “State of Emergency: The Third World Invasion and Conquest of America.” She was joined by James Pinkerton, an essayist and Fox News contributor who, as an aide to the first President Bush, took credit for the racist Willie Horton ads run against Michael Dukakis. It is easy to mock white-supremacist views as pathetic and to assume that nativism in the age of Obama is on the way out. The country has, of course, made considerable progress since the days of Know-Nothings and the Klan. But racism has a nasty habit of never going away, no matter how much we may want it to, and thus the perpetual need for vigilance. With people sending a LOUD message against the mindset of the xenophobes in Danbury, it is critical that people not allow elected officials and those who offered smears, misleading information, and outright lies in their support for racial intolerance (i.e., Basso/Urice/Teicholtz racist emails, 287g, defaming the Hispanic Center) get off the hook or run away from their actions (and you know who you are). In other words, the fight against xenophobia and racial intolerance in Danbury is far from over...in fact, it never ended. Food for thought as we enter the municipal election season. 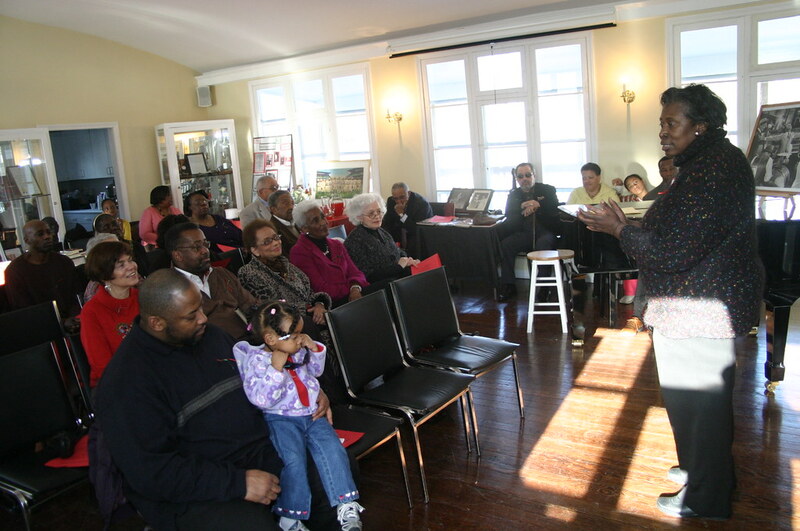 Greater Danbury NAACP President Glenda Armstrong talks about the importance of Black History Month. On Sunday, the Greater Danbury chapter of the NAACP held a Black History Month gala at the studio of the great Marian Anderson. For those who missed the event, here's my video report from the celebration. All I could do was smile and pat him on his back after he said this to me on Tuesday night. LOL! Oh that Mike is a funny guy. Sorry for the delay in posting but something has come up which requires my attention. The Danbury 11 case is about to heat up as it's DEPOSITION TIME! Can't wait to read the mayor's testimony...which should be REALLY interesting seeing that he'll be under oath. I couldn't resist shaking my head at last night's ad-hoc committee meeting on the appointment of Mike McLahclan as Director of Economic Development. I'll show you how easy it is to poke holes into the mayor's testimony later as well as highlight at least two occasions where members of the committee and those in attendance had a GOLDEN opportunity to call the mayor and supporters of this appointment out on several misleading statements that were made. I attended the NAACP Black History month celebration on Sunday and I'll post footage from that event later. The nonsense surrounding the appointment of Mike Halas continues. I've retrieved the footage from last year's Zoning Commission meeting and you'll be able to see Halas and his goon squad supporters in all of their glory. ...as well as how Elise Marciano's dwindling band of xenophobic maniacs wound up looking like complete morons at the forum...later. I asked Danbury Democratic Town Committee Chairman Joe DaSilva to give his thoughts on the proposed changes to the city's charter. The following written remarks were submitted into the city's record at last night's public hearing on the charter changes (DaSilva also offered oral testimony during the public hearing...video of his remarks will be posted later). Historically speaking the City of Danbury Charter has been a very stable document. Originally drafted to effectuate the merger of the City and Town of Danbury, it has been revised in 1977, 1988 and 1990. The current proposed revisions have the potential to make impacts far larger and far reaching than all of the previous revisions combined. To grossly understate the issue, the proposed shift to four year terms for all municipally elected officials represents a monumental change in city governance. What is most shocking is that there is truly no necessary basis upon which to justify such a far reaching restructuring of city government. Once argument that has been advanced is that such an extension is necessary for our elected officials to learn their job. This argument is absurd. Members of the United States House of Representatives are elected to two year terms. The Governors of Vermont and New Hampshire are elected to two year terms. The Mayor of Houston, Texas, (the fourth largest city in the United States) is elected to a two year term. It is greatly hoped that no one would give credence to an argument that being the mayor of Danbury is more difficult than being a member of Congress, the Governor of Vermont or New Hampshire or the mayor ofthe fourth largest city in the country. The most significant practical ramification of four year terms is that it eliminates a local election every two years. In a time when fifty percent turnout in a municipal election is considered good, and immediately after a national election that showed record turnout, the elimination of an entire election cycle once every fours years sends a troubling message to the voters. Critically, an election cycle of three elections out of every four years will cause voter turnout to decline in every year. No elected official should fear to return to the voters for ratification of their actions. 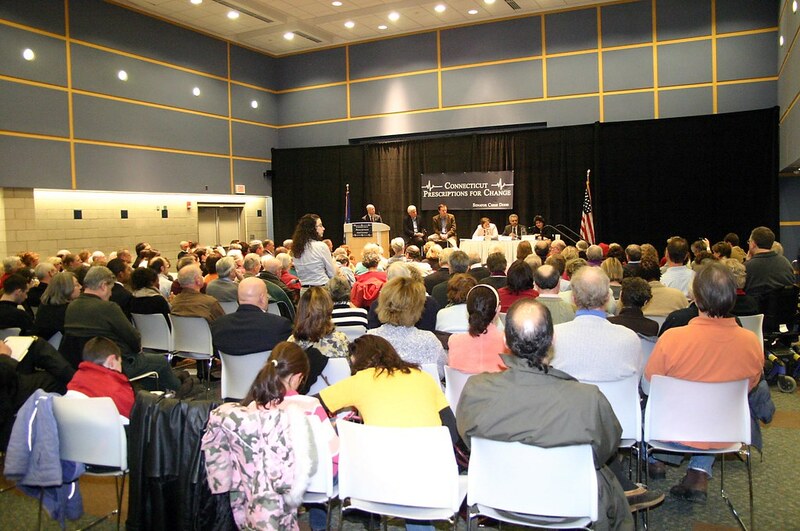 Ultimately, however, a four year term effectively means less contact with the residents and voters of Danbury. It should be beyond argument that less contact with the voters is not beneficial for the City or its residents. The policy of the City of Danbury should be to encourage the interaction of its elected officials with the residents of the City. The extension of the term of office to four years has the exact opposite effect. "would be found very insufficient without the restraint of frequent elections. Hence, in the fourth place, the House of Representatives is so constituted as to support in the members an habitual recollection of their dependence on the people. Before the sentiments impressed on their minds by the mode of their elevation can be effaced by the exercise of power, they will be compelled to anticipate the moment when their power is to cease, when their exercise of it is to be reviewed, and when they must descend to the level from which they were raised; there forever to remain unless a faithful discharge of their trust shall have established their title to a renewal of it." See, The Federalist Papers No. 57. Madison's words are no less true today. Finally, with far too much frequency we have seen in Connecticut the abuse of power and the corruption of our public officials. A former mayor of Connecticut's largest city and the youngest Governor in Connecticut history have both left office in disgrace and spent time in federal prison. Most recently the Mayor of Connecticut's capital city has been charged with obtaining improper benefits by way of his position. While, Danbury has historically had excellent leadership, today's climate makes it even more important than ever to go to the voters more frequently, not less. 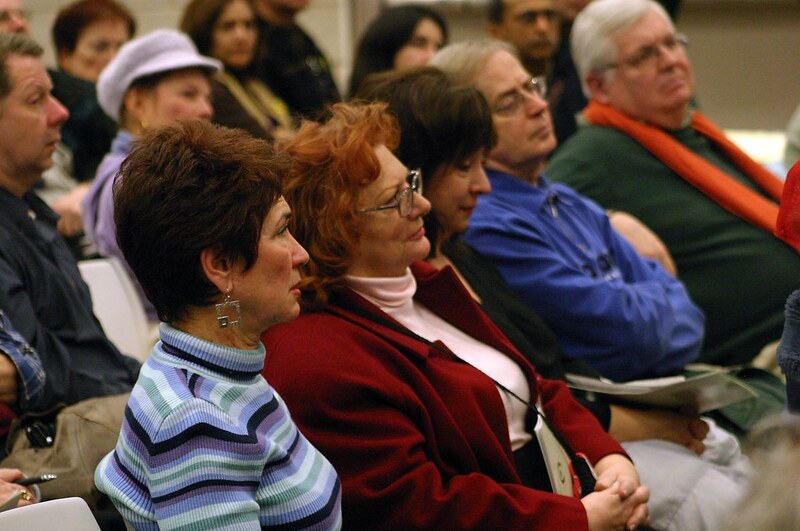 The proposed revision of the charter is not in the best interests of the residents of Danbury. $ 2,500,000.00 per project, and a total of $ 500,000.00 per fiscal year without seeking the approval of the voters. If it is assumed that proposed four year term were to become law, the ramification of the change to Section 7-10 is that the residents and voters of Danbury could be obligated to repay up to twenty million dollars ($ 20,000,000.00) without approving the bonding. This is not in the best interests ofthe residents of Danbury, especially as they would not even have the opportunity to vote on the election of the mayor and council members who have approved the borrowing. The overall level of bonding incurred by the city effects the city's credit rating and the interest rates the city will pay. Moreover, the total amount of debt service that must be carried every year must come from general revenues and will thus have a direct effect on the other services and programs that the city may undertake. The proposed revisions to Section 3-11 of the Charter would reduce to ten percent the required number of signatures necessary to force an ordinance to a referendum. Upon the submission of the requisite number of signatures, the law would be ineffective until the next "general or special meeting" of the voters. At that time, should a majority of those voting in the referendum approve the law would take effect. First, it must be noted that the wide spread use of referenda does not generally lead to better public policy. The difficulty encountered by neighboring towns in enacting their local budgets should cause pause before making the conclusion that reducing the number of signatures required to force a referendum is in the best interests of the City or its residents. Further, if Section 3-11 remains in its current form, at minimum it should be expressly stated therein that the referendum must occur within a specific time period after the submission of the signatures. As currently worded, Section 3-11 merely requires the referendum to occur at the next general or special meeting of the voters. This language is ambiguous enough that it could be interpreted to mean a referendum need not be held until the next municipal election. While such a result would likely not be within the spirit of the Charter, there is no real effective method to challenge an incorrect interpretation of the Charter and curious rulings have been received in the past. The proposed charter revisions would remove the requirement that the common council approve the settlement of law suits provided the settlement falls within current coverage limits. While the submission of settlement proposals to the common council is likely annoying to the executive, the legislative review and approval of such actions is part and parcel of representative government. Even a settlement within policy limits can have an impact upon the city's insurance premium costs. Moreover, legal settlements can involve more than just a money payment. The people of Danbury have a right to have their elected legislators review settlements not merely for their cost but also for what is admitted or conceded by way of the settlement. Further, there has been no situation of any note where the common council has rejected a reasonable settlement offer. The minimal convenience to the executive that may be engendered by submitting settlement proposals to the common council is far outweighed by the necessity of legislative review of decisions that can have long ranging effects on the City and its residents. In advance of today's ad-hoc committee on the appointment of Mike McLachlan as Director of Ecoomic Development, here's a re-posting of a report I did back on Jan 14. 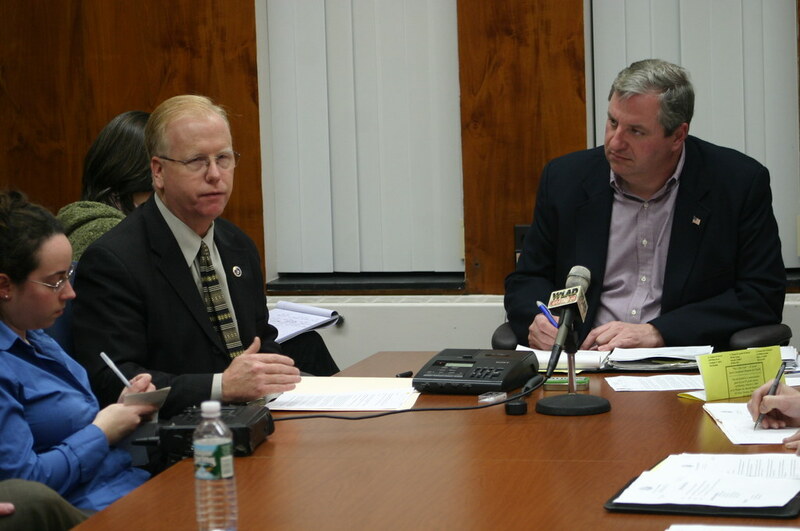 The issue of Mayor Boughton appointing Mike McLachlan as his Director of Economic Development has created quite a stir across the state as well as caught the attention of the media outside of the Danbury area. ITEM 1: Did Boughton/McLachlan mislead the public? During last month's state of the city address, one of the items that received the most buzz was the appointment of then State Senator Elect Mike McLachlan as the city of Danbury's director of economic development. Throughout his campaign, as the Danbury News-Times accurately noted, McLachlan stated that, if elected as State Senator, he would give up his post at the mayor's chief of staff because of the OBVIOUS conflict of interest this would create. This being the case, in his statements, McLachlan gave the clear impression that, if elected, he would, in terms of employment, severed his ties with city hall for the good of the district he is suppose to represent. This is not the time for Danbury to pull back on efforts to attract new businesses and new jobs. But Mayor Mark Boughton is doing that as he reshuffles personnel in City Hall. The motive behind the shuffle is Boughton's desire to give a part-time job to Michael McLachlan, his long-time chief of staff. In November, McLachlan was elected to fill the 24th State Senate District seat -- serving Bethel, Danbury, New Fairfield and Sherman. During the campaign, McLachlan and Boughton said McLachlan, if elected, would no longer serve on the mayor's staff because of obvious conflicts of interest that would develop in serving their different constituencies. The promise made sense. But with the election over, it turns out there was undisclosed fine print attached to the promise. McLachlan won't be Boughton's full-time chief of staff. Instead, he will have a part-time city job as economic development director to supplement his part-time job as a legislator. To accomplish this maneuver, Boughton says he will downsize the economic development job to part time and move the current full-time economic development director, Wayne Shepperd, to the job of full-time chief of staff. In response to questions about a cut in commitment to the economic development position, the mayor says Shepperd will still be involved in economic development. All of this to satisfy the new state senator's need for a part-time job and the mayor's interest in giving him one. Danbury's needs, not McLachlan's needs, should be the mayor's focus. With his experience in public life, McLachlan should know better than to get into this situation. It clearly is not what he promised as a candidate. In addition, this new role automatically comes with a conflict of interest. His part-time city job could involve advocating development that is opposed by constituents from his other part-time job as legislator. If he recuses himself because of legislative conflicts, he will not be doing his job as a city employee. This job shuffle requires a second look. It doesn't serve Danbury, the mayor or the new state senator. Clearly, McLachlan is going back on his word to his constituents in the 24th district. Think about it for a second. How does McLachlan serving as Director of ECONOMIC DEVELOPMENT (who by definition is responsible for helping "businesses already in Danbury find the means to expand as well as to attract new businesses to Danbury") help the residents of other areas in the 24th such as Bethel? Why would McLachlan attempt to expand Bethel's economic base as State Senator IF he's employed by the city of Danbury for that very purpose? In essence, the whole affair didn't make any sense and didn't go unnoticed by the members of the media who were in attendance or throughout the state as the appointment of McLachlan to this position raised quite a number of eyebrows and was picked up by newspapers ranging from the Hartford Courant to the New York Newsday as well as WTNH. It was only a matter of time until other media outlets would look deeper into this story. Today, the Fairfield Weekly took thing a step further and shows what happens when you have a week to work on a story as opposed to a day. At his State of the City address, Danbury Mayor Mark Boughton announced he was handing over the city's Director of Economic Development post to Michael McLachlan, his former chief of staff who weeks ago had been elected state senator for the 24th District (Danbury, New Fairfield, Sherman). As announced previously, the position would be changed into a part-time one, 15 hours per week — not because of McLachlan's duties as a state senator, another part-time position, but to save costs for the city. During the campaign, McLachlan said several times that if elected, he would no longer serve on the mayor's staff because of "obvious conflicts of interest that would develop in serving the different constituencies." Area residents, as well as the Danbury News-Times' editorial board, saw a potential conflict of interest regarding the new post — the mayor moving someone close to him into a newly-revised $32,000-a-year, part-time city job, one where he could use his clout in the Capitol to lobby for the city's economic development (perhaps with less interest in the rest of his district). Shouldn't there be a board that looks into and okays this stuff? There are two, in fact, the Danbury Board of Ethics and the Office of State Ethics in Hartford — but McLachlan didn't seem anxious to hear what either had to say. He says he e-mailed the Danbury board on Dec. 18, a day before Boughton's State of the City address. As for the state office, e-mails obtained from it show McLachlan sent them an e-mail at 6:31 a.m. on Dec. 19, mere hours before the lunch-time address. McLachlan was offered the economic development job the weekend before Thanksgiving, both he and Boughton confirm. If he wanted the opinions of either ethics office, he could have asked long before the mayor announced it. Makes sense right? If McLachlan thought there was a chance that there would be a conflict of interest (or even if he wanted to double check and make sure his appointment to Director of Economic Development was okay, WHY WAIT UNTIL THE DAY OF THE STATE OF THE CITY ADDRESS to inquire with the State's ethics board? What's more troubling is the time in which McLachlan made the inquiry, the time of the response, and the time of McLachlan's reply. You see, I filed a FOIA request for all communications between McLachlan and the state's ethics board in regards to this matter. Here's what I received in return...take note of the times in which the emails were transmitted. Although the Weekly was correct in stating that McLachlan's initial email inquiry with the state's ethics board happened at 6:31 as on the day of the state of the city address, what's more troubling was WHEN the state ethics board REPLIED as well as when McLachlan REPLIED to the state ethics' email response. First, the importance isn't what the state's ethics board said to McLachlan, it's the timing of the entire matter. You see, the state replied to McLachlan at 12:10 PM...a mere minutes before Boughton delivers his speech AND McLachlan replied to the state at 4:11 PM...hours after Boughton announced McLachlan's appointment. As the Weekly stated, why did Boughton and McLachlan wait until the day of the state of the city address to place an inquiry with the state? Also, my looking at the timestamps, it appears that McLachalan didn't know the answer until after the address. Here's McLachlan's comment that appeared in Dirk Perrefort's article on the state of the city address which was published on the News-Times' website on 12/19/08 at 6:31 PM. He [McLachlan] said he's asked for opinions from the city's and the state's ethics commissions on the matter. "I don't anticipate any conflict but we are looking at it carefully to make sure it will be acceptable," he said. Perrefort was at Boughton's address (in fact, he stood right next to me) so it's quite logical to assume that he received this quote from McLachlan after the Boughton did his address. I think you get the point when it comes to the puzzlement in McLahclan and Boughton waiting until the last minute to inquire into this appointment so lets move on with the Weekly's piece. As for the Danbury Board of Ethics: As of press time, chairman Arthur Mannion had not issued an opinion, but didn't think there would be a conflict "because it wasn't a money issue, referring to conflicts between public duty and private purses." ...and here is where the rabbit hole gets deeper. Adding to the intrigue, Mannion is an area lawyer who serves on the Republican State Central Committee as co-chairman for the 24th District. His co-chair is Michael McLachlan. The man who could clear McLachlan on behalf of the City of Danbury has worked side-by-side with him for partisan goals. Isn't this another conflict of interest? YES...and it gets EVEN WORSE. Les Pinter, Corporation Counsel for the City of Danbury, says that "only an officer or employee of the city who has a potential conflict can raise the issue" of McLachlan's closeness to Mannion. "That is not likely to happen. Either of them would have to recuse themselves." McLachlan tells us, "I knew there was no conflict of interest beforehand, as I studied law and consulted with my lawyers. I just wanted an official response from the state. And I received their decision before the mayor announced his decision." Actually, the e-mail from the State Office of Ethics says McLachlan confirmed his receipt of the message at 4:30 p.m.; the mayor's speech was at 12:30. From my memory, around 12:10 to about the start of the speech, McLachlan was busy handing out gathering and handing out the transcripts of Boughton's speech to the press. Again, I stood next to the reporter from the News-Times and you can see McLachlan work the room with the transcripts as well as see him give me a copy of the speech clearly in my video footage (which was timestamped). When asked if his closeness to Mannion was a concern, McLachlan simply answered, "No." McLachlan has served many years on the State Central Committee, and serving as senator simultaneously is allowed. The day after I spoke with him, though, he tendered his resignation. Lets take a look at the development of Boughton's statement in regards to McLachlan, Wayne Sheppard, as well as someone whose name never came up in his state of the city address. FIRST, McLachlan and Boughton stated that Mike would resign as chief of staff because of "obvious conflicts of interest that would develop in serving their different constituencies." 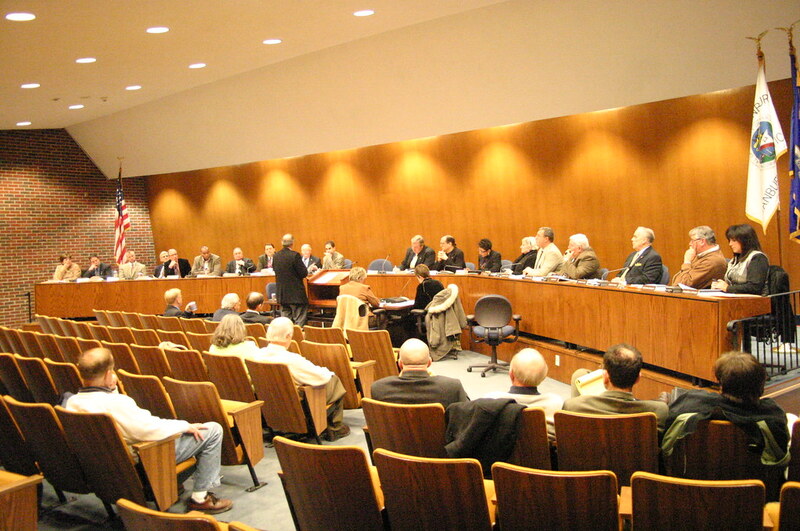 THEN after the election, while Boughton stresses the economy as a major issue for Danbury in 2009, he changes the position of Director of Economic Development from a full time to part-time, 15 hour per week position (which at 41 dollars per hour amounts to 30,750.00 annually) and appoints McLachlan to take over that role (although he's a State Senator for the 24th District which includes areas which will reply on McLachlan in terms of economic development...such as Bethel). Over the years as mayor, I have been blessed with a great staff. This year! am sad to lose Michael McLachlan. Mike has done an outstanding job as chief of staff. Mike is moving on to be the next State Senator from the 24th District and will be moving on to a different role for the City of Danbury. Today I am proud to announce that Wayne Shepperd, our current Director of Economic Development will assume the role of chief of staff. I am excited to work with Wayne. He has been a mentor to me (as to most of you in the room) over the years and he will do a terrific job. Michael McLachlan will move to Wayne's position as the new Director of Economic Development. The position will be reduced to 15 hours per week. I honored and excited that Mike has agreed to take on this new role for Danbury. He brings an incredible amount of knowledge and skill to Danbury. Congratulations to both Michael and Wayne. This is ALL Boughton stated about McLachlan and Sheppard's changing of chairs. During his time as economic development director, Shepperd had a hand in bringing the Nutmeg Games, the Connecticut Film Festival and the American Junior Golf Association Championship to Danbury. He was also involved in discussions throughout the year as the city lobbied to bring Pepsico from Somers, N.Y., to Danbury. The cola giant has not announced a decision as to whether they will renew a lease on property it rents in Somers. How is a part-time director going to get things done in just 15 hours a week? Boughton said the plan is to have Shepperd still be involved in economic development issues. An unspecified portion of chief of staff duties will be given to Ted Cutsumpas, who works in the Mayor's Office as community services coordinator, Boughton said, so that Shepperd can continue to play a role in economic development. Hmm...so ALMOST A WEEK AFTER THE STATE OF THE CITY ADDRESS (when Boughton first announced McLachlan and Sheppard's new roles), we NOW learn that Ted will be assuming some of the chief of staff responsibilities AND Sheppard still being "involved" in economic development issues. You would think something as involved as this would have been explained when Boughton brought up the new appointments during the state of the city address...as opposed to revealing this point only after being questioned about his decision to reduce the position of Director of Economic Development to a part-time position...right? ...and then there's Boughton's defensive remarks posted on his site which came AFTER the News-Times blistering editorial...which came a day after Driscoll's article on the 26th. Again, why the details after the fact as opposed to fully explaining the re-shuffling during the State of the City address? Recently, the Democratic Common Council caucus sent a letter to Mayor Boughton that echoed the questions raised in news reports. In short, in his new role as Director of Economic Development for the city of Danbury, by the definition of his new responsibility at City Hall, when it comes to the providing state assistance in regards to expanding a municipality's economic base, Mike McLachlan there will always be a question on whether or not the new State Senator will work in best interest of his constituents in the 24th district. At the very least, McLachlan and Boughton should have been more straight forward with voters in the 24th district about the possibility of MacLachlan still working for the city of Danbry if elected State Senator. State Rep. Robert Godfrey, D-Danbury, told six superintendents and a dozen area board of education members that he doesn't think it is possible for Gov. M. Jodi Rell to give schools the same amount of state money next year as this year, as she promised Feb. 4 . "It's going to be a very bloody and messy spring," Godfrey said Monday during a legislative breakfast that the Connecticut Association of Boards of Education held at Danbury's central office. "Don't count on the money she's announced as coming to school districts." He believes Rell's 2009-11 proposed spending plan is at least $2.6 billion short of being balanced. Rell's proposal is based on her budget office's estimate of a $6 billion deficiency. The state Office of Fiscal Analysis predicts it to be more like $8.6 billion. In other words, don't believe what the governor is spewing, funding for municipalities WILL be cut. Tonight, the Common Council will be holding a public hearing on the changes to the city's charter. PLEASE, PLEASE, PLEASE come and speak your mind to the changes to the charter! I will be in attendance and will be offering my concerns about the changes tonight.